Jypyä Pop (Turku, Finland) on 10 September 2018 in Animal & Insect and Portfolio. Levi fait le curieux! . Leevi is just thinking, I'm happy to be on this side of the fence! Oh, Leevi ! I can't help loving Leevi ! 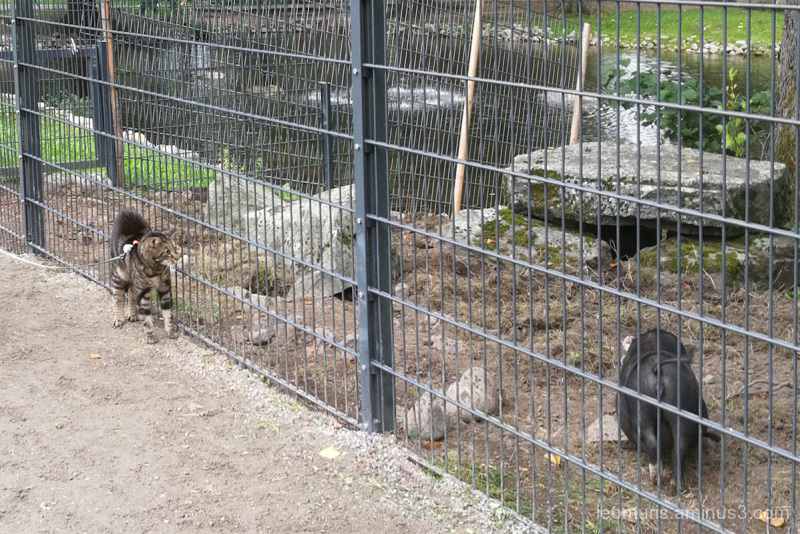 Leevi is so interested in the pig. He's not so sure about it though. does the one in the cage envy the one outside? @Harry: In a cage with two pork. Leevi had a little to wonder about this one who came close to him.